Our work focuses on a wide range of policy areas that impact on older and retired people. These include issues of anti-discrimination, employment of older workers and active ageing, social protection, pension reforms, social inclusion, health, elder abuse, intergenerational solidarity, research, accessibility of public transport and of the build environment, and new technologies (ICT). We seek to give a voice to older and retired people in the EU policy debates, through the active participation of their representative organisations at EU, national, regional and local levels, and provides a European platform for the exchange of experience and best practices. We furthermore inform older people on their rights as EU citizen or resident and on EU policy making processes and recent EU policy development. Through our involvement in several EU projects, we also seek to promote older people's participation in the development of projects and devices intended for them ('user involvement'). AGE Platform Europe was set up in January 2001 following a process of discussion on how to improve and strengthen cooperation between older people's organizations at EU level. Membership is open to European, national and regional organizations, and to both organizations of older people and organizations for older people. Organizations of older people will have the majority of votes in our decision-making bodies. Membership is open only to non-profit-making organizations. Our work is financed by grants of the European Union, membership fees and donations. Our vision is that of an inclusive society for all ages, based on solidarity and cooperation between generations, where everyone is empowered to participate fully and enjoy life in full respect of their rights while fulfilling their duties and responsibilities. Our mission is to voice and promote the interests of people aged 50 and over in the European Union and to raise awareness of the issues that concern them most. Through its members, our network represents more than 40 million senior citizens across the EU. 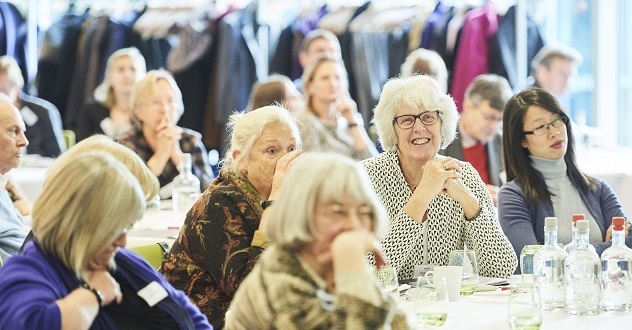 AGE network seeks to promote older people’s rights at EU and international levels, to combat ageism and support a dignified, active and socially included old age for all. It also supports the participation of its member organizations in relevant EU, United Nations and Council of Europe work and projects, networking and related actions at national level. We see the current demographic change as an opportunity to create an age-friendly society across Europe where all citizens, whatever their age, can enjoy equal rights and opportunities and are empowered to contribute to the wellbeing of their communities. A large majority of older people live independently, but with demographic ageing a growing minority is expected to need care, creating opportunities for employment and innovation. Demographic ageing, fast technological changes and rapid digitalisation, and other social developments are changing our societies in fundamental ways. We believe that a comprehensive assessment and a reworking of our economic and social policy framework are needed to make our European social model sustainable and fair for all generations. This requires the adoption of a multidimensional and integrated approach to ageing and the involvement of all relevant actors including older people themselves in the design of solutions that are appropriate and beneficial for all. We believe that older women and men should be able to speak out on their own behalf, in order to better protect their interests and express their very diverse needs. We therefore place great importance on older people’s leadership and active involvement in all AGE activities and policy work.